What leading personalities in education and training for the Hospitality Industry had to say about Bartending in South Africa. Barry Smith, Director of Hotel School M L Sultan Technikon, Durban. Robert Mauvais, National Chairman FEDHASA and South African Restaurant Guild. 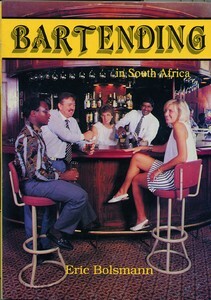 Bartending in South Africa was published by Be My Guest Publishers in Pretoria as a 124-page soft cover edition in 1992. A limited number of books are available at R35,00 postage and VAT included in South Africa.